Click the image for the full series. Photo by Nick Heer on Flickr and used here with Creative Commons license. The role of the author in today’s ever-shifting digital publishing landscape is a complicated one. The job doesn’t stop when the last chapter is written. For many, that’s actually when the bulk of the work begins. Even if you take the traditional big publisher route, the author is expected to carry a heavy promotional weight. And so, the author has also become the entrepreneur, the social media maven, the booking agent, the blogger. 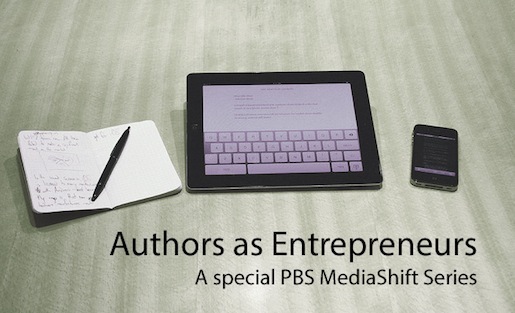 This week on MediaShift, we are exploring the changing role of the author, this morph from maker to marketer. You’ll hear from authors themselves on how their role is changing, but you’ll also get big-picture insight from those watching the industry and glean tips and tools for how to best make the transition. "Even if you take the traditional big publisher route, the author is expected to carry a heavy promotional weight." Managing editor Courtney Lowery Cowgill is a writer, editor, teacher and farmer based in central Montana. In addition to her work with MediaShift, she teaches online courses at the University of Montana’s School of Journalism. Before she came to MediaShift, she was the co-founder and editor in chief of the now shuttered online magazine NewWest.Net. When she’s not writing, teaching or editing, she’s helping her husband wrangle 100 heritage turkeys, 30 acres of food, overgrown weeds or their young children. Nick, I’m so sorry. We had two versions in our system, one with attribution and one without. For some reason, in places, the latter was used inadvertently. We have it attributed now. Thanks for the CC photo and thanks for letting us know!